Wildfires continue as containment gets better! 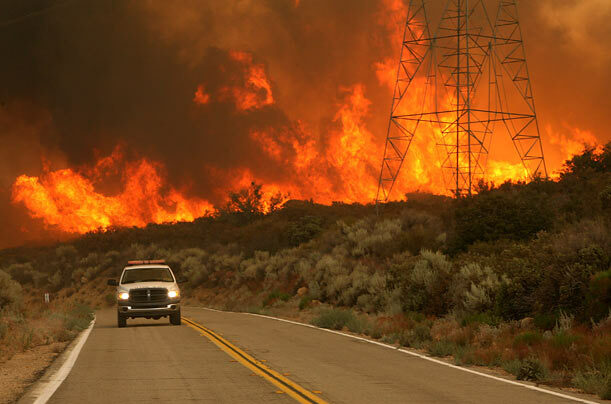 Home » News » Local News » Wildfires continue as containment gets better! By BStigers on July 11, 2018. California’s wild fire picture is looking better. The big one, called Klamathon in Siskiyou County has consumed 36,500 acres, killed one person, destroyed 82 buildings and injured 3 firefighters. More than 2700 fire personnel had boots on the ground, 208 fire engines, 27 water tenders and 18 helicopters. This fire also shut down I-5 to traffic for a period of time stopping transportation of goods and food between Oregon and California for several hours. The fire is still only 40 % contained as of late yesterday.